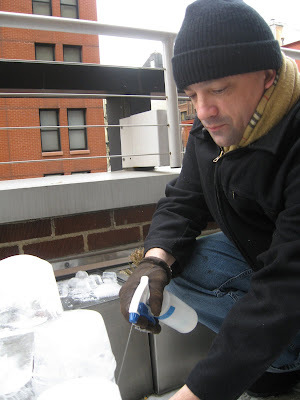 Make ice. 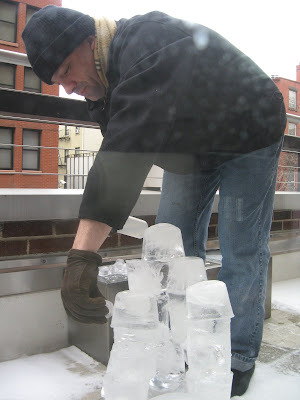 Here's Tom working on a DIY ice sculpture out on our deck. 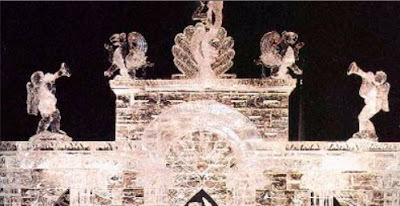 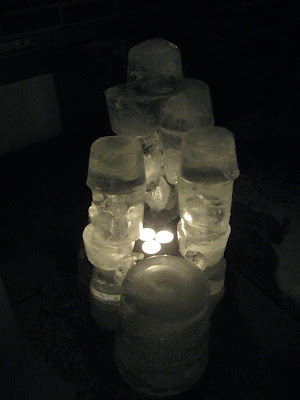 Benita made a very cool ice lantern here. 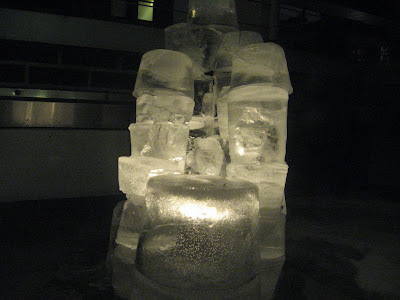 Amazing to discover that someone in Sweden is amused by ice, too.